So, the only option that is lost from going non-compiled to compiled would be ability to change texture UVs on the fly? Plus the limitation in the number of texture layers and some more or less minor things where the pipelines differ due to the way OpenGL does some things (specular lighting looks a little bit different as well as environment mapping, the mentioned Config.lightMul=1 of the compiled pipeline...that kind of stuff. But that's nothing to go crazy about...). Oh, yes. I forgot about the texture layer limit and lightMul. If you keep increasing fps at this rate, I won't be able to post because of my keyboard shorting out with all my drool. Apart from beethoven, i changed Robombs to use compiled objects for most of the entities in the game. I discovered two small bugs while doing so, which are fixed now. Now, it just works fine...it didn't help much performance wise, because Robombs is quite low poly anyway. However, i consider this to be an important milestone for this new feature. I think we are going beta with it really soon...(fingers crossed...). I'm actually a little more excited about the shader hooks, even though I know nothing about shaders at this point. I admit that i'm pretty excited about the shader hook and the extra FPS. I don't think my projects will ever really need it, but who knows. With the shader hook I will certainly be looking at JPCT it for a bigger project I may start working on someday. All Right!!! I can see I'll have some shader studying to do for my next project after the one I'm currently working on. so does this mean all disadvantage of jPCT for large scenes has gone ? i mean because of the overhead of its hybrid pipeline.. i also wonder how octrees fit into this pipeline: will they loose their significance ? You and me both, but then again maybe someone will make a cell shader that I can use. Yes, that overhead is gone for compiled objects. Currently, a compiled object still consumes a little bit more memory than it has to in some caes, but i'll fix this in a later version. About octrees...actually no. They are still quite useful, but not necessarily for rendering. For collision detection, they still help a lot. For rendering...i'm undecided. The tests that i made showed a performance decrease when using them for rendering, because they tend to split the batches too much. When you compile an object, it will be split in a number of batches based on states (i.e. textures, blending modes...). If you use an octree in addition, the splitting includes the tree's leaves too. On a large terrain, this may still help...on a Quake3 level, it doesn't. That's the reason why i've added the option to use an octree for collision detection only. With all this excitement over the new shader hook, it must be something worth looking into. I, um, have no idea what it is. So, I did a search and found this tutorial on the lwjgl wiki site. 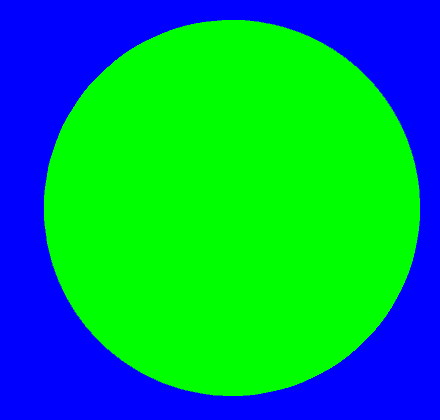 http://lwjgl.org/wiki/doku.php/lwjgl/tutorials/opengl/basicshaders. Is GLSL what is supposed to be used with the new hook? It looks rather complete for a complete Shultz-I no nothing-of the subject, so I wanted to make sure this is what I should learn before plunging in. Oh, and by the way Egon, I didn't notice (for some reason??) that Beethoven was up to 4300. I'm sitting very far back in my chair so I won't have to replace another keyboard Great job! Is GLSL what is supposed to be used with the new hook? It looks rather complete for a complete Shultz-I no nothing-of the subject, so I wanted to make sure this is what I should learn before plunging in. The hook doesn't force you to use one way or the other, but GLSL is what should be used nowadays IMHO. So does the "all-green-example" above. You can see the source code of the used shader in it. It's hard coded into the first attribute. You can see that the normal pipeline benefits from the finer octree, because it takes the geometry load away from the pipeline very early. Using the octree on the normal pipeline causes additional overhead for processing the tree, but doesn't require more state changes in the pipeline than without it. The coarse tree doesn't help, because it can't discard enough geometry to make up for the additional processing needed. The compiled pipeline on the other hand is the complete opposite. The hardware has no problems with processing the complete geometry of a Quake3-level each frame, but using the octree causes more render calls and more state changes (because of smaller render batchs), slowing it down. Keep in mind that these results are only valid for a quite low poly object displayed using a hardware with high poly throughput. When rendering a landscape or similar on an Intel onboard chipset, it may be a different story.